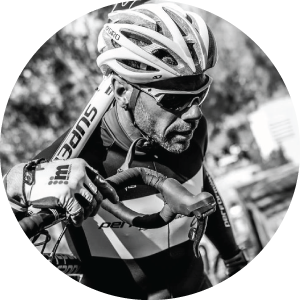 A dedicated and seasoned cycling coach, Coach John uses a proven combination of consistent and personalized communication, goal setting, nutritional education, customized training plans, and the latest technology in data collection to help athletes meet and exceed their goals. 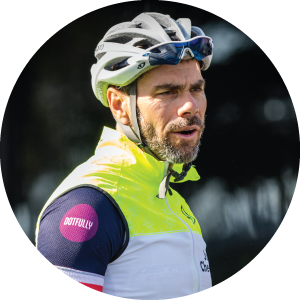 His athletes have won international, national, and countless regional titles at all endurance events including road, track, cyclocross, and mountain biking. On top of numerous coaching qualifications (listed below), John brings more than 20 years of experience as a competitive endurance athlete. Personal achievements include Ironman distance triathlons, marathons, pacing athletes at the Western States 100, and extensive racing in the disciplines of cyclocross, track, and road cycling. Committed to giving back to the cycling community that sustains him, John volunteers as performance director for Oakland Composite High School Mountain Bike Team and is co-director of the Earlybird Training Series that is part of USA Cycling’s Beginner Racing Program. He has also served as director of the Junior Program at Hellyer Velodrome and as a coach at USA Cycling Junior Talent ID camps. He also routinely supports other area organizations that promote youth and beginner cycling, including Little Bellas. Based in Marin County, John enjoys long trail rides and runs, as well as rock climbing and bike park sessions with his family. Connection. The connection an athlete feels with his or her coach is key to their success. Every athlete has their own needs and communication style and we customize our approach to meet you where you’re at. We combine in-person conversation and an online training platform to maintain clear channels of communication and best support you as you work toward your goals. Safety. Staying healthy and safe are crucial to your success as a cyclist! All our athletes begin with a PAR-Q assessment from their physician before we design a training program and we regularly partner with wellness professionals to keep you healthy and strong. Our staff have certifications in Wilderness First Aid, Safesport, and undergo regular independent background checks by USA Cycling and NICA. Preparation in Partnership. Heading into your goal events, it is important to feel mentally and physically prepared. We partner with our athletes to make sure we’re best supporting your goals, from designing training programs tailored for the demands of a target race course to building skills and awareness to handle the stress and anxiety of competition. Sustaining our Community. We believe in giving back to the cycling community! We regularly devote volunteer time to organizations that support youth and beginning riders, including the Oakland Composite High School Mountain Bike Team, Hellyer Velodrome’s Junior Program, USA Cycling Regional Talent ID Camps, and the Early Bird Training Series. Lifelong Learning. We’re committed to our own growth so we can best support yours! We go above and beyond the minimum coaching license requirements by keeping up to date on new tools and technology to support you, taking courses and apprenticeships to challenge and improve our skills, and learning from each of our athletes every day so we become better coaches for all our riders.